It’s market day…in the suburbs…Gas powered engines are revving. Traffic is flowing. A light snow and rain mix is drizzling down. It’s just like Tuscany or Provence, right? Nevertheless, we cheerily made the best of it. I think we attempted to buy up the entire meat supply of our local farms–whole chicken, ground beef, chuck roast, maple sausage, bacon, chorizo, and ribs. I am hoping this will be enough to satiate the fam for a bit as they are a very ravenous bunch. 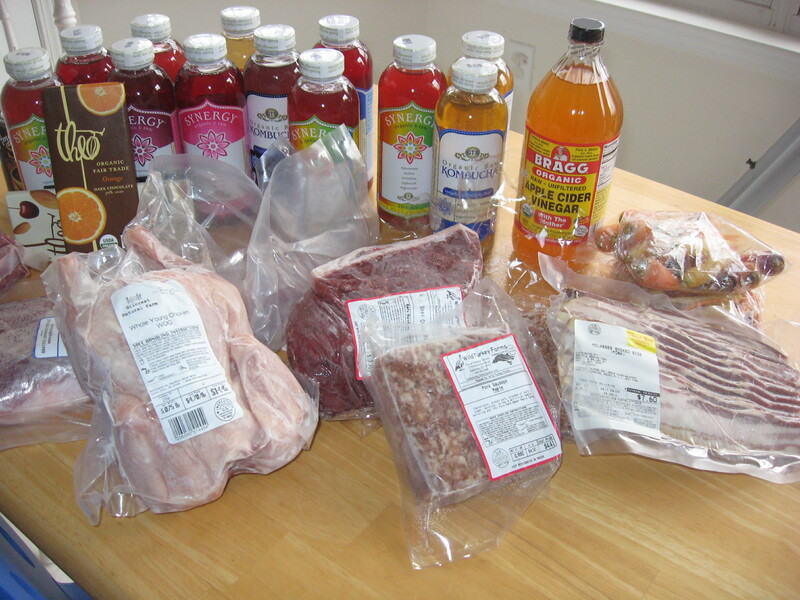 Kombucha stockpile and meat supply for the next two weeks.